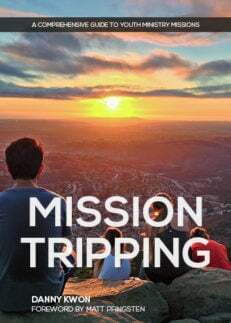 So, you’re going on a short-term mission trip. Now what? This interactive journal is designed to walk you through your experience as you prepare your heart, mind, and body for this time of dedicated service. You’ll learn what it means to have a posture of openness, humility, and teachability as you enter what may be a different culture from your own. You’ll get a chance to dive deeper into the verses that show us God’s call on every Christian to missional living. And you’ll be able to process the life-changing experiences you have on your journey—even adjusting to home life after. 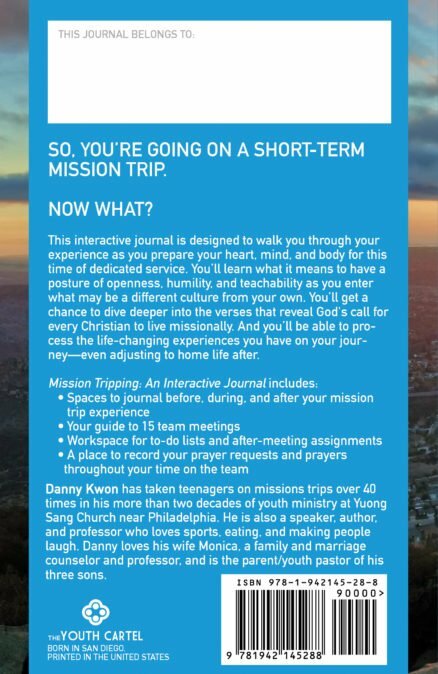 Danny Kwon, PhD, is the author of A Youth Worker’s Field Guide to Parents and has been leading the youth and family ministry at Yuong Sang Church near Philadelphia for over 22 years. He is a speaker/trainer for The Youth Cartel, as well as a professor in practical theology. He completed in Ph.D. on the topic of innovation in the local church. Along with his love for sports, eating, and making people laugh, Danny loves his wife Monica, a family and marriage counselor and professor, and is the parent/youth pastor of his three sons.